If you are a student at another university, and you are interested in studying as an exchange student at the Arts Academy of the University of Split, this page is for you. This page is also intended for members of teaching and non-teaching staff at foreign universities who wish to spend a period teaching or training at our institution. The course catalogue is available here (incoming students will need it to create their study plan). Erasmus+ is the European Union programme for education, training, youth and sport. It runs for seven years, from 2014 to 2020, with organisations invited to apply for funding each year to undertake creative and worthwhile activities. Erasmus+ aims to modernise education, training and youth work across Europe. You can learn all about the programme here. Students and staff from other universities participating in the Erasmus+ programme are able to visit the Arts Academy of the University of Split and can apply for funds from their own university only if a valid Erasmus inter-institutional agreement is in place with our institution. The list of higher education institutions in the Programme Countries with which we can exchange students and staff is available here. If you do not see your institution on the list, and you are interested in starting cooperation with us, please contact the Vice-Dean of Arts, Science, International Collaboration and ECTS (contact information is provided below). CEEPUS is an acronym for “Central European Exchange Program for University Studies”. Along with Croatia, this mobility programme includes the following countries: Albania, Austria, Bulgaria, Bosnia and Herzegovina, Kosovo, Montenegro, the Czech Republic, Hungary, Macedonia, Moldova, Poland, Romania, Slovakia, Slovenia and Serbia. Apart from mobility through networks, CEEPUS also provides mobility outside the network (freelancers or freemovers). Freemover applications are processed only after all the network mobilities have been awarded. The call is usually open only for the summer semester, and the deadline for applications is 30 November. Detailed information about application procedure is available on CEEPUS website. The departments of the Arts Academy of the University of Split are spread all over the city of Split. 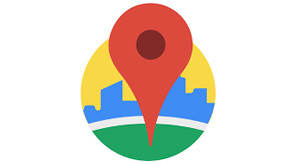 Our departments and other important locations are marked on a Google map (click on the above image).